Are your employees focused on driving toward your strategic objectives, day after day, week after week, quarter over quarter? 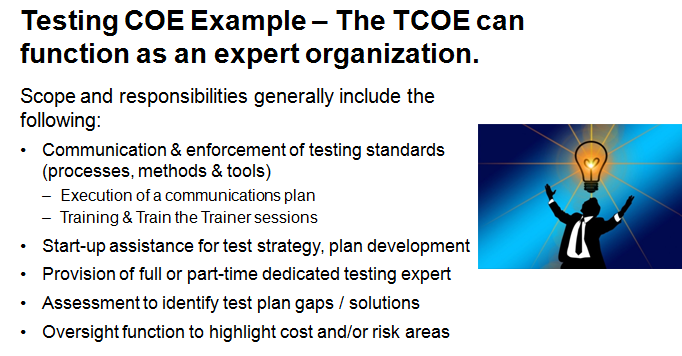 Or are they focused on lesser important tactical tasks that don’t always support these strategic objectives? Can you specify which percentages of your team’s activities are spent working toward your strategic goals vs. the percent spent on tactical, non-strategic objectives? Do you have a set of tools to easily and simply track progress toward completion of strategic objectives, down to the initiative, project, and task? 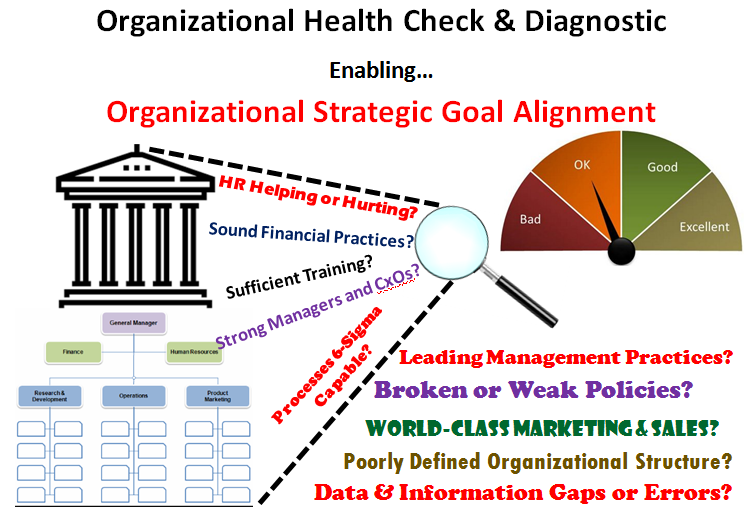 Do you have a set of world-class program and project management tools to leverage to ensure organizational alignment with company priorities? If you answered “No” or I don’t know to any of the above questions, the rest of this blog is dedicated toward helping you get to “Yes” for all of the above 4 questions in 4 easy steps (my “4-in-4” delivery promise). 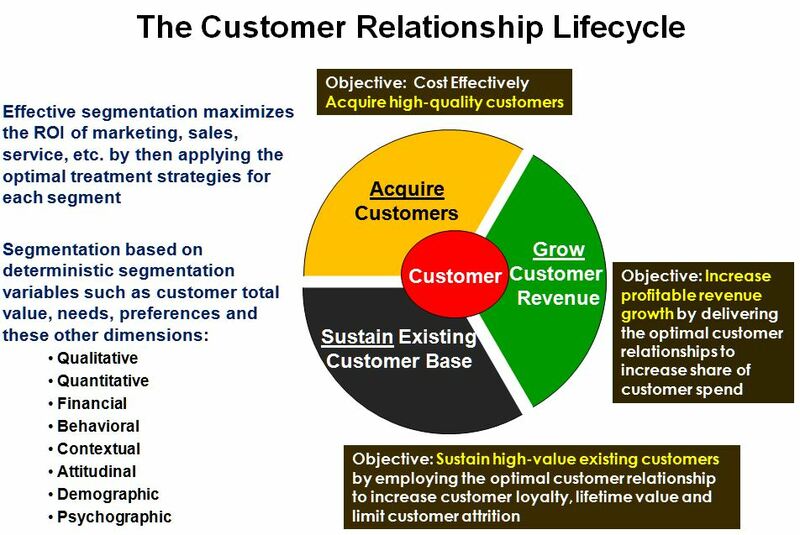 Above is a set of strategic objectives I helped develop for a financial services client who was struggling with customer loyalty and experiencing higher than standard customer defection rates to their competitors. 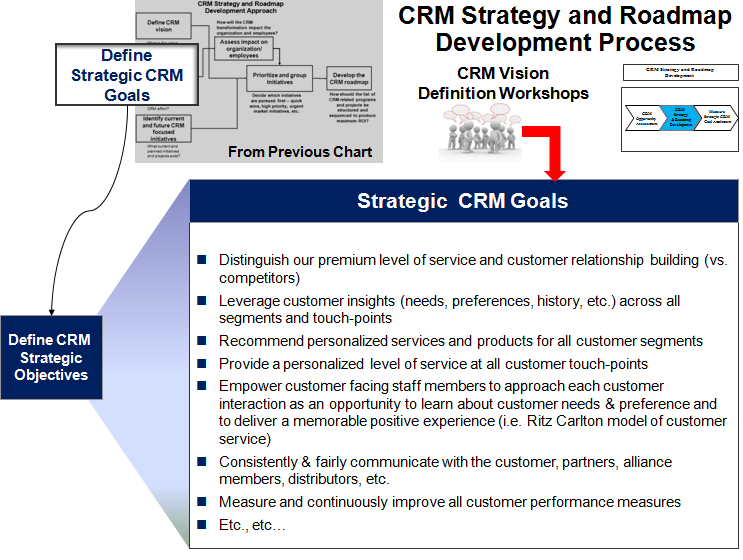 Through a series of interviews, workshops and visioning sessions, we arrived at the top four (4) strategic CRM objectives above and then mapped out the major customer interaction outlets (a.k.a. touch-points) in order to map the stakeholder groups that would be involved in helping my client achieve these four strategic objectives. 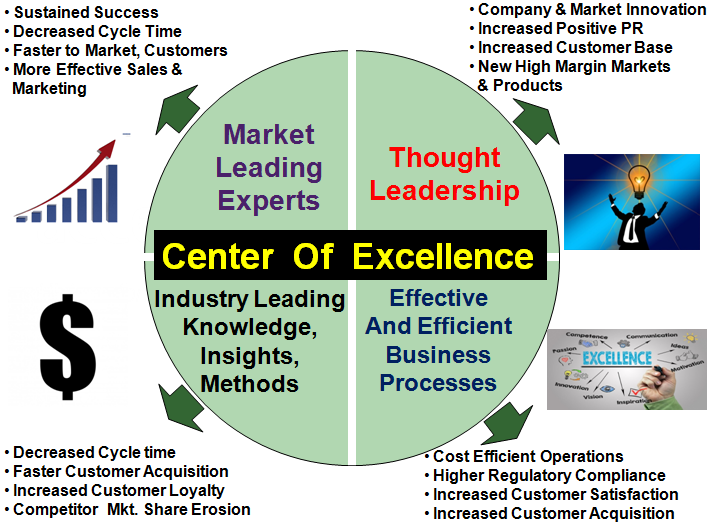 Overlay the stakeholder groups (shown on the outer part of the above diagram) that will be involved in helping achieve each of the four strategic initiatives shown in the center. The next step in the process is to develop a mapping from Strategic Objectives to the Supporting Initiatives and the projects/activities that support these major initiatives. It is important to develop a unique coding system (or Work Breakdown Structure (WBS)) for each strategic objective, major supporting imitative, project and activities within each project so they can be tracked within a time management system. Here is an example as partially illustrated in the above diagram. 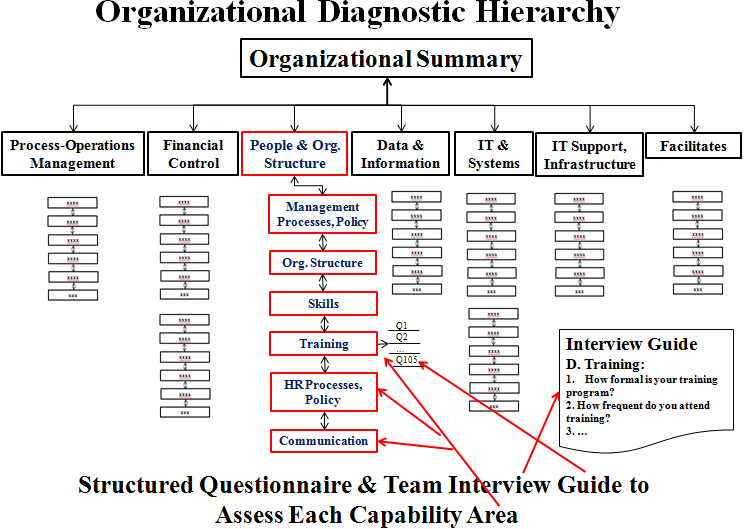 Once you have determined the entire work breakdown structure for all strategic initiatives, tracked to initiatives, project and all activities, down to the 4th level (i.e. 4CRCCIFG1A1), you can then load these into your time management system to track how much time is being spent on these strategic objectives & tasks vs. all other time management tasks. 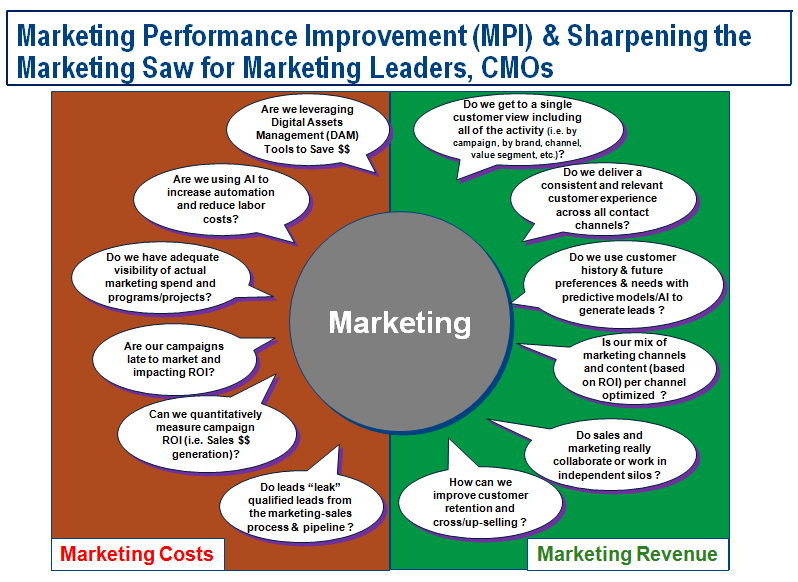 Determining your next strategic direction? 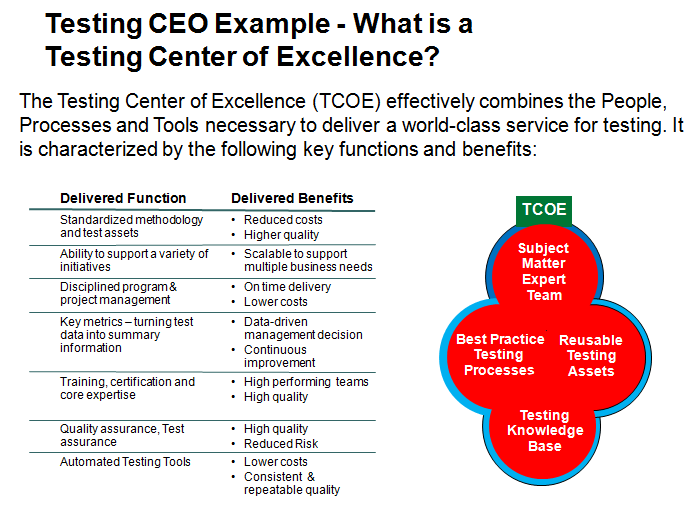 Ensuring corporate strategic initiatives are aligned with current projects, activities and tasks? If so, give me a call, I call help you achieve world-class strategic programs that enable you to surpass your competition and bring your organization to the next level of strategic goal development and attainment. 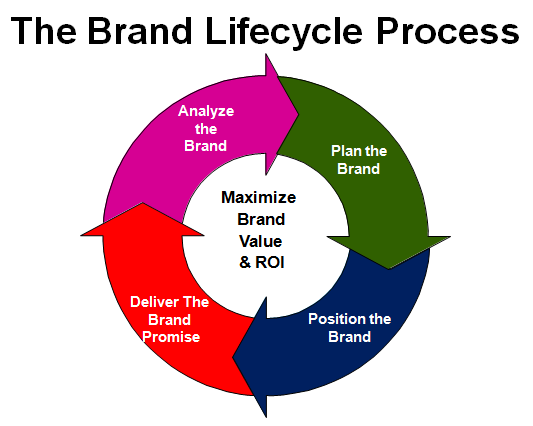 Position the Brand – Ensure the brand is positioned well in terms of market, competitors, customers, prospects, etc. Deliver the brand promise – Deliver upon the expectations of the brand in terms of stakeholders, regulators, customers, brand interested, etc. 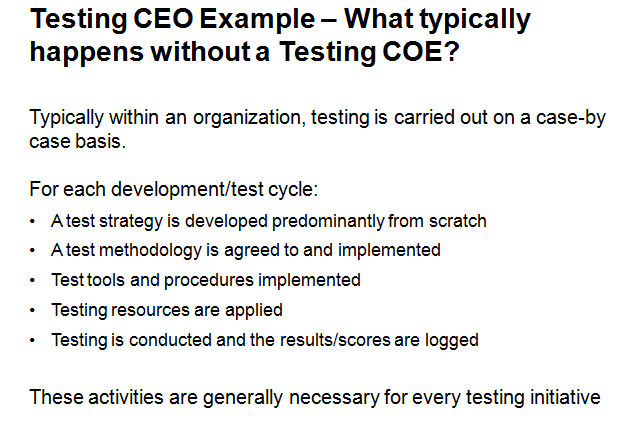 For each of the phases above, I included a sample objective (one of many) for each phase. 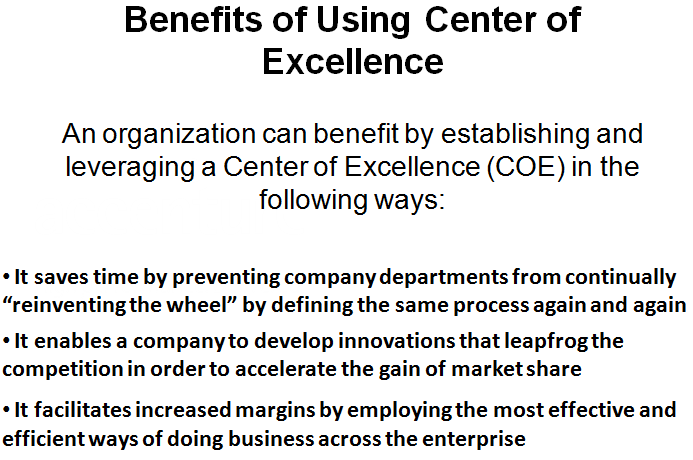 These objectives while similar across many companies, the specifics objectives would be tailored for each individual company. 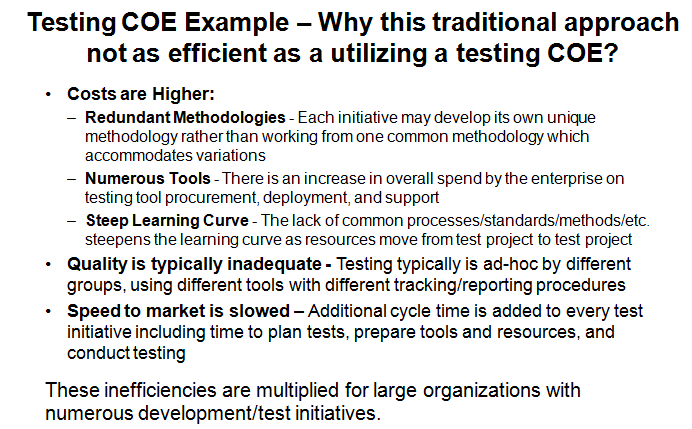 The important thing to remember with the above is that the life-cycle processes need to be constantly reviewed and enhanced over time utilizing a continuous improvement process approach and methodology. Included in the above graphic is a sampling of analysis techniques for each lifecycle phase. When the process lifecycle details are determined, the analysis and ‘health check’ metrics would also be determined in order to continually gauge the overall progress of the brand toward a set of goals and objectives. 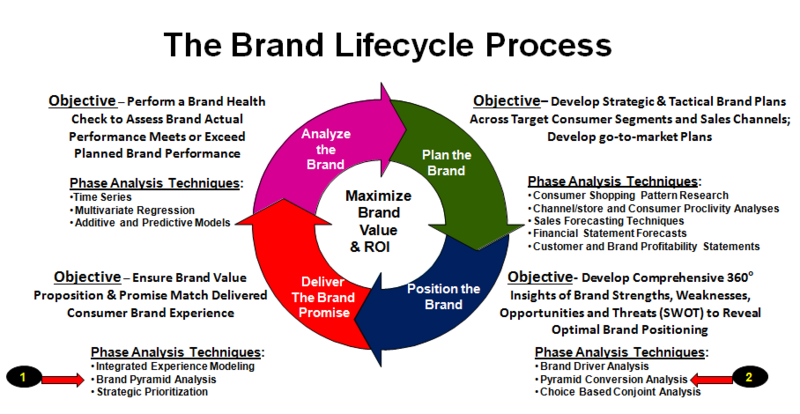 For those more analytically inclined and as an example, we might decide to use a time series or multivariate analysis in determining the marketing effectiveness on the brand(s) in the “Analyze the Brand” phase. On the other hand, a time series analysis would be used to help illuminate brand trends, issues and opportunities in historical data over a period of time as well as be used to predict future values based on previously observed values. 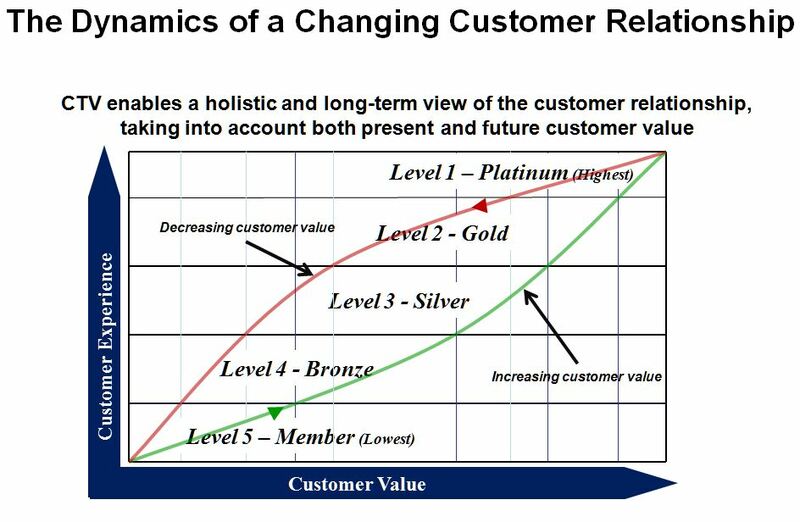 For example, it can be used to illustrate the brand decline curve of defecting customers beyond the time that a brand is first launched as to predict the rate of decline into the future for use in projecting future revenues. 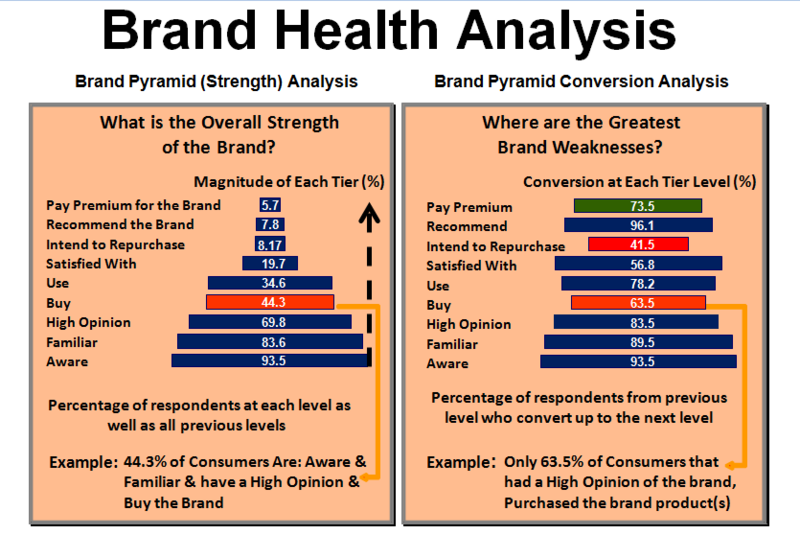 The chart above highlights two of the brand analysis techniques mentioned in the previous graphic, that being the Brand Pyramid (Health) Analysis (also commonly referred to as the brand funnel analysis if viewed from bottom to top) and the Brand Pyramid Conversion Analysis. This is meant as an overview, the next graphic takes a deep dive into each analysis technique. The key to the above chart are the questions to the left of each section as these a key in determining overall brand health. 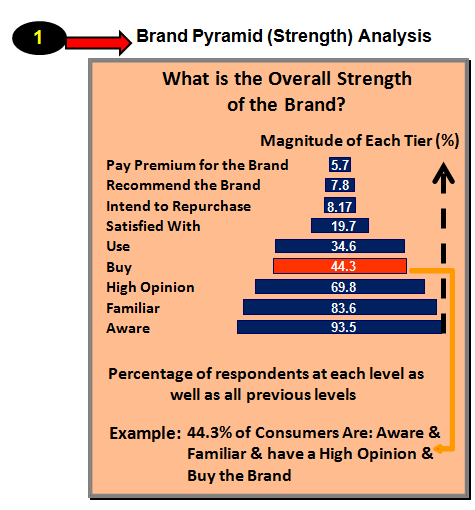 The above chart illustrates the Brand Pyramid (strength) analysis and is sometimes also referred to as the brand health funnel analysis. In this consumers are queried about a set of questions regarding the brand. In order to qualify for the next level query, the consumer must have answered “yes” to ALL of the previous, lower level questions. For example, a consumer would need to “buy” the product to be able to “use” and only then would they be able to rate how well “satisfied with” they are with the brand (products/services). In a perfect world, the pyramid would look more like a square with 100% of people going from “aware” all the up to “pay premium”, but the above represents the real life pyramid and what real brand analysis results typically look like. 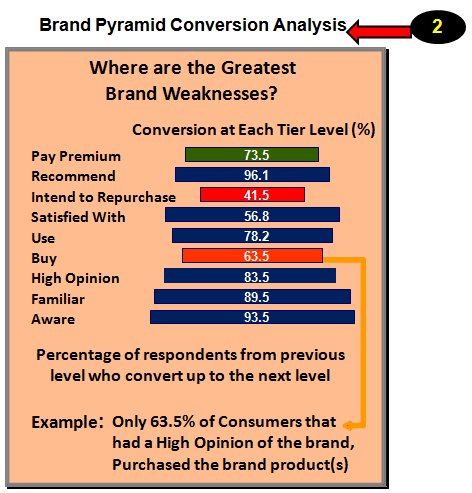 The above brand pyramid conversion analysis measures the brand health slightly differently in that these are the conversion rates of audiences at each level of the brand pyramid. 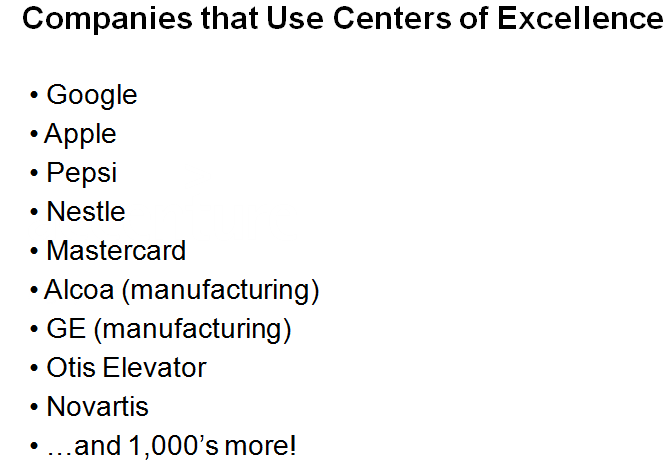 To use an example, if 100 people were queried about the brand, a full 93.5% were aware of it. Of that 93.5%, 89.5% were familiar. Of the 89.5% that were familiar, only 83.5% (or 69.8 on previous chart) had a high opinion of the brand. This analysis reveals that, while people were familiar with the brand, many didn’t think very highly of the brand due to some negative perception that will need to be determined for root cause(s) (i.e. pricing, quality, warranty, features, etc.). Is your organization planning on launching new brand or optimizing an existing one? If so, give me a call, I call help you achieve world-class brand programs that enable you to surpass your competition and bring your organization or agency to the next level of brand management excellence. 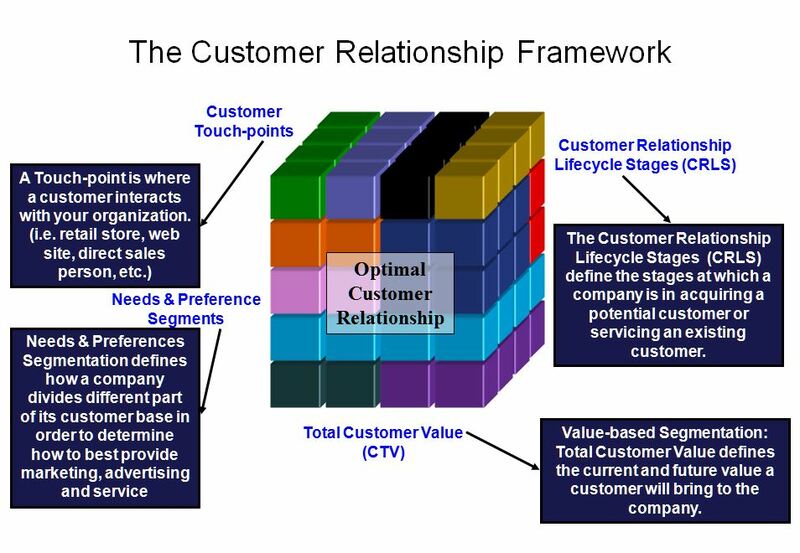 Major customer segments that exist comprise the foundation of the framework. These need to be taken into consideration as the major customer stakeholders that either are in place, or need to be defined as part of the future-state strategy. 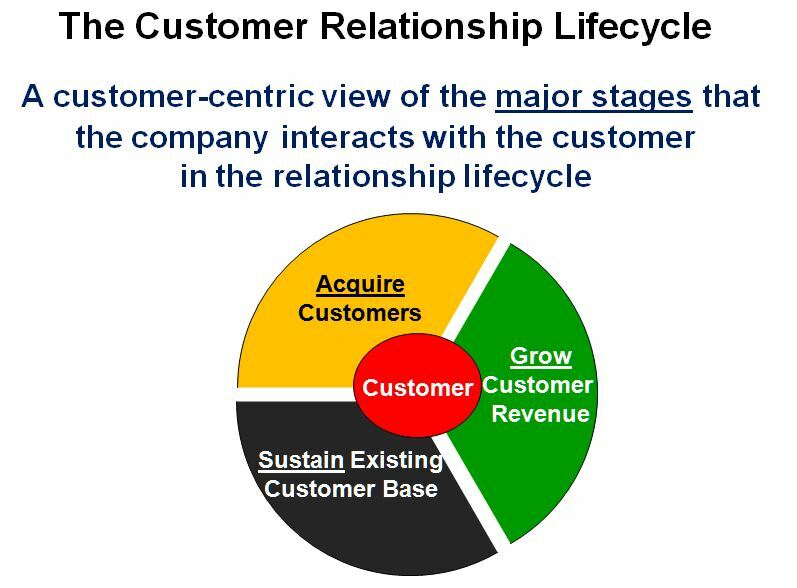 The customer channel content that exists and will be needed moving forward once the major customer segments have been determined. The partner matrix and partner relationship model that exists and will be needed – types of partners, partner distribution model, partner communications methods, partner acquisition model, etc. 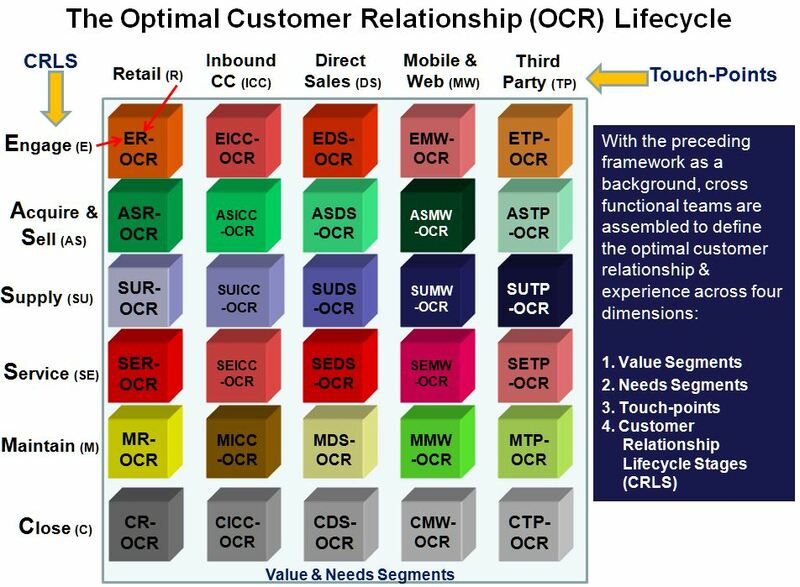 The current and future customer touch-points specifications – usage, volume, delivery method, cost structure, etc. 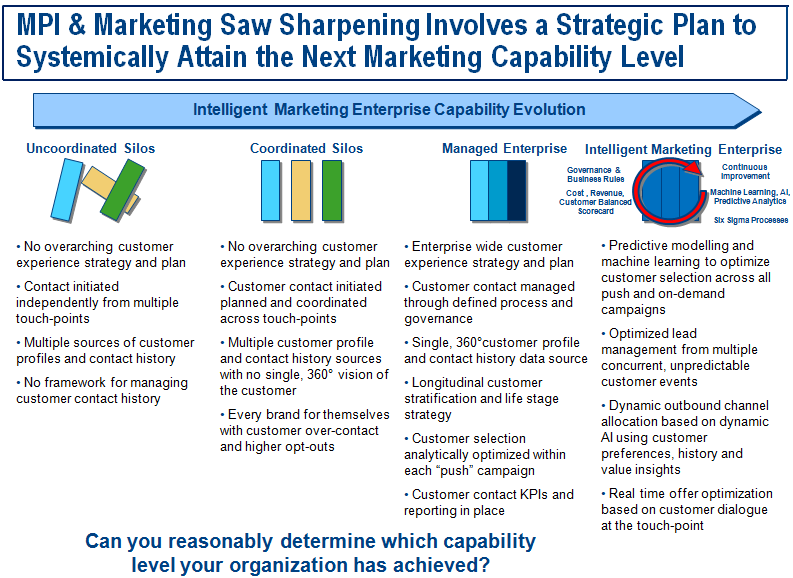 Major customer, partner and market insights that exist and that are needed in the future. 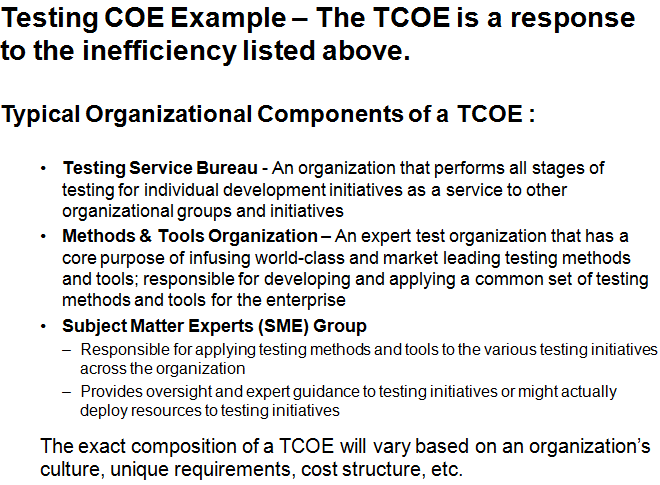 The current and needed future state model for customer facing operations and capabilities that exist within each functional area. 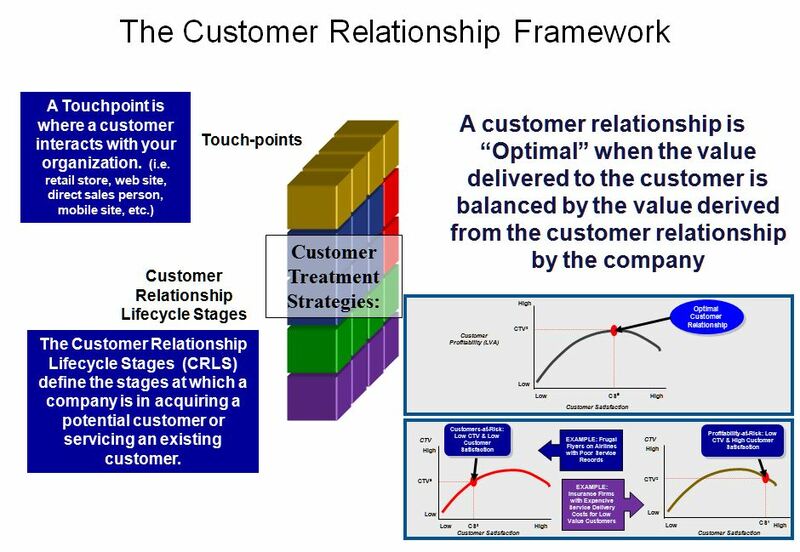 Finally the top of the pyramid, the customer and CRM strategy that drives all other structure capabilities and operating models as defined through a series of workshops shown later in this article. 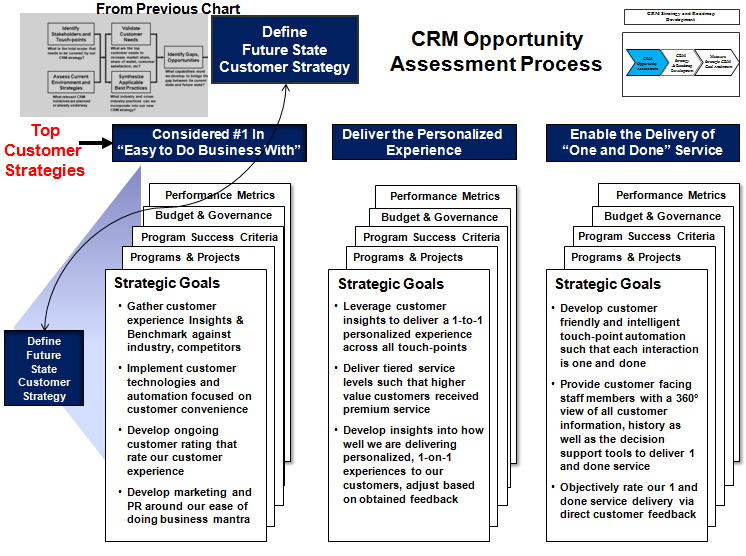 Left side, “Synthesize Insights” – Depicts sample insights that need to be gathered and synthesized on the left in order to determine a realistic future state customer strategy and roadmap. 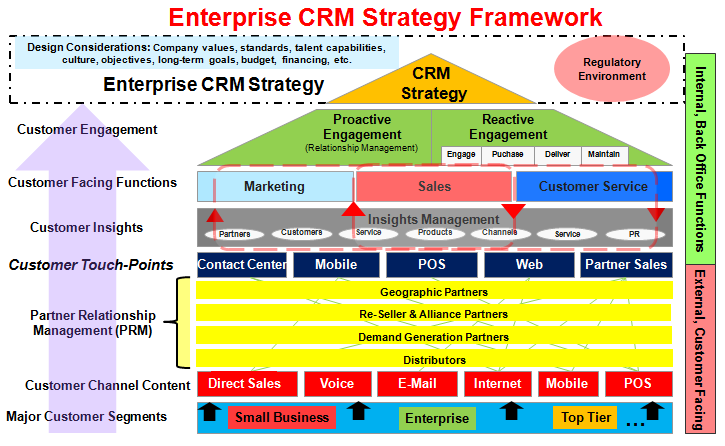 Top, under “CRM Transformation Approach” – The delivery, governance and oversight structures that must oversee and manage the delivery of a final customer strategy and 5+ year roadmap. 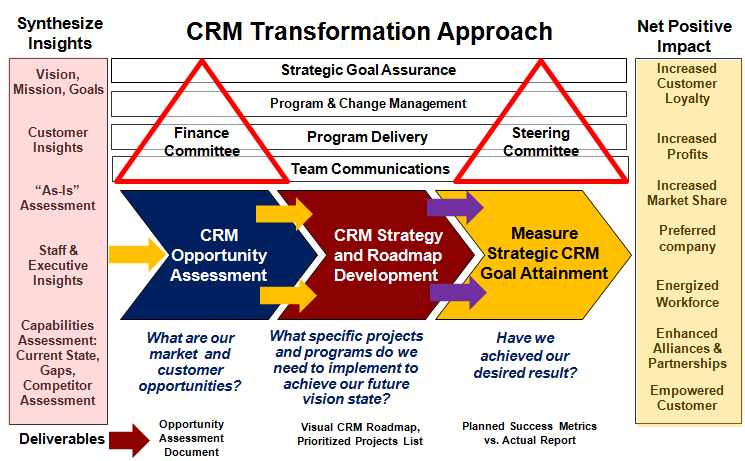 Middle, under “CRM Transformation Approach” – The major program phases in the delivery of the future state customer strategy and roadmap as well as the major goals and deliverables from each phase. 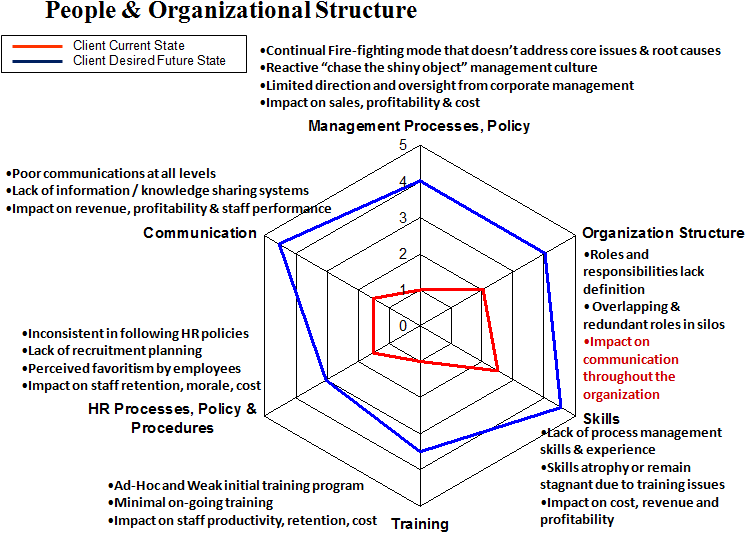 Right side, under “Net Positive Impact” – The major positive impacts from the development of a customer strategy and 5+ year roadmap stated in both quantitative measures (via a business case) and qualitative dimensions. 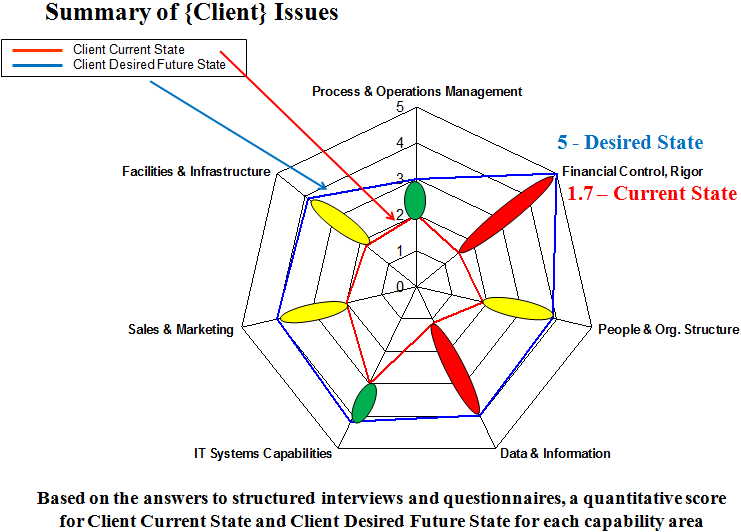 The chart above is the high level process (level 0) I have used to assess the CRM (future-state) opportunities at a large multi-national company. 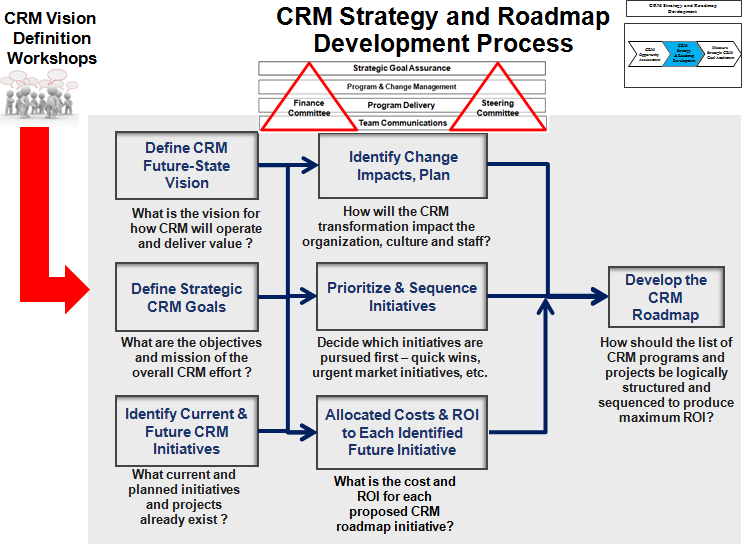 While I start with this CRM process flow to accelerate the delivery of a customer strategy and roadmap, each is tailored to each client situation and set of requirements. 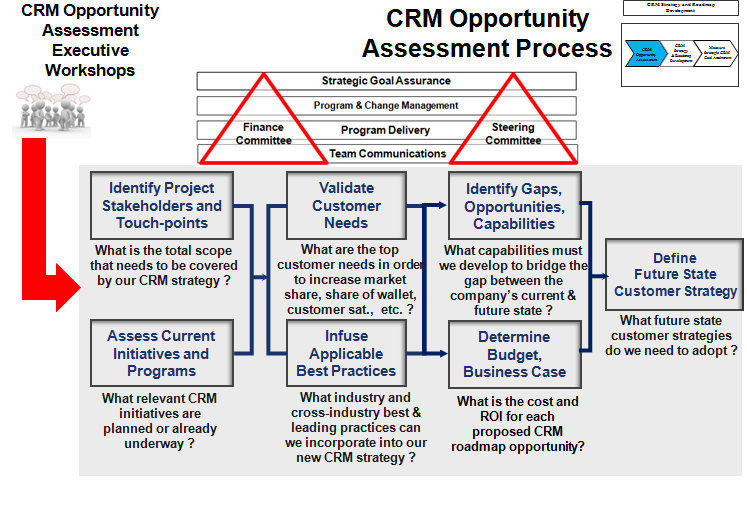 This also includes a detailed approach and plan for conducting a series of “CRM Opportunity Assessment Workshops” attended by key executives and stakeholders whereby many of the components listed in the above flowchart are actually defined. 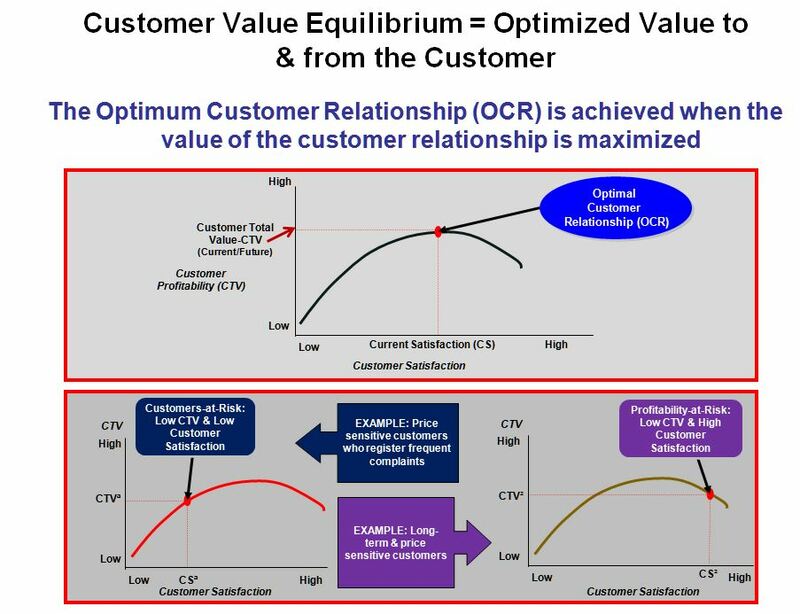 The chart above is the high level process (level 0) I have used to develop a future operational model of a customer relationship management (CRM) strategy and roadmap for a large multi-national company. I full project plan that includes task dependencies, project critical path, logical sequencing of project tasks, resourcing plan, etc. accompanies the above chart during an actual client project. 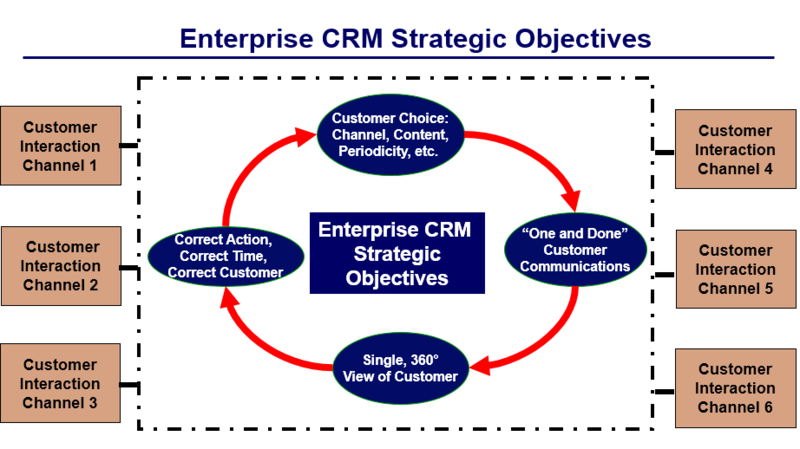 This also includes a detailed approach and plan for conducting a series of “CRM Definition Workshops” attended by key executives and stakeholders that provide direct input into the future-state CRM strategy & road-map. 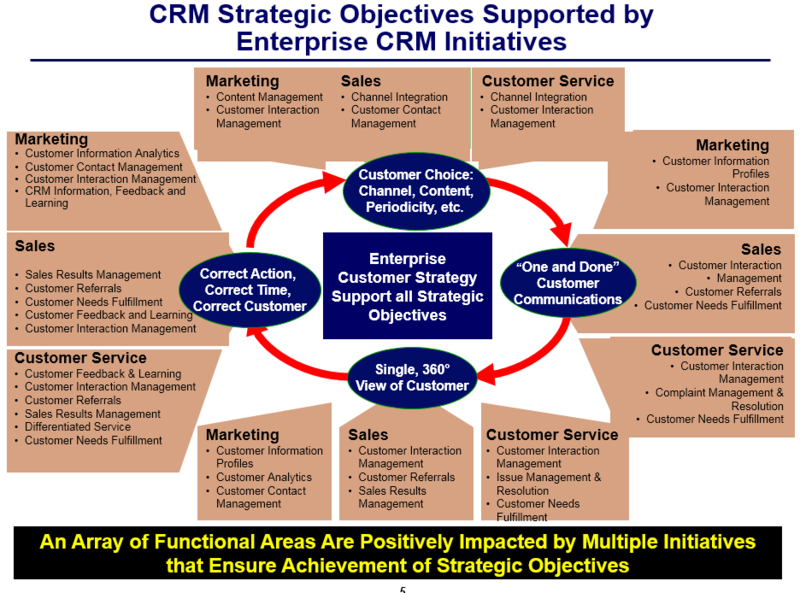 The chart above highlights the details associated with developing the specific and measurable objectives for a future state CRM & customer strategy. 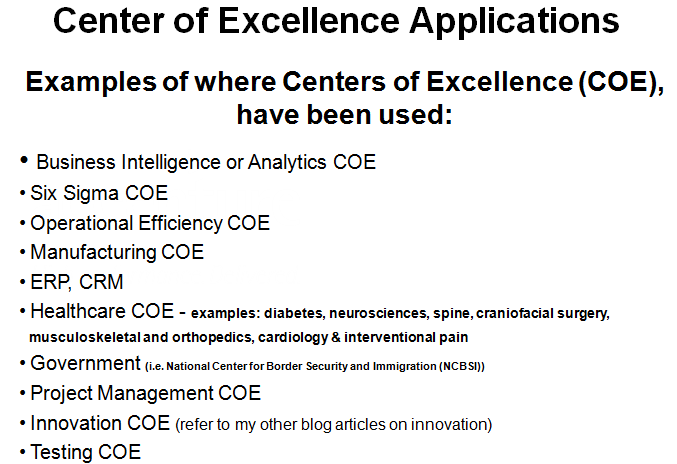 These details are highly variable and need to be tailored based on the specifics associated with the client’s market & requirements, budget, competition, market/customer gaps, etc. 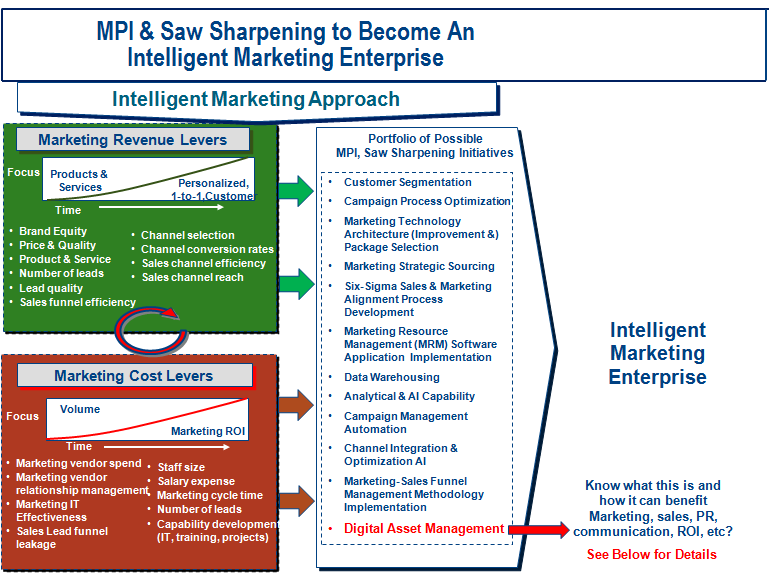 This is just one article of 40+ total I have written on Customer strategy, CRM, marketing, product management, competitive intelligence, corporate innovation, change management – all of which I have significant experience in delivering for Fortune 500 companies.